Admire Mars has been named Japan’s Champion two year old colt. 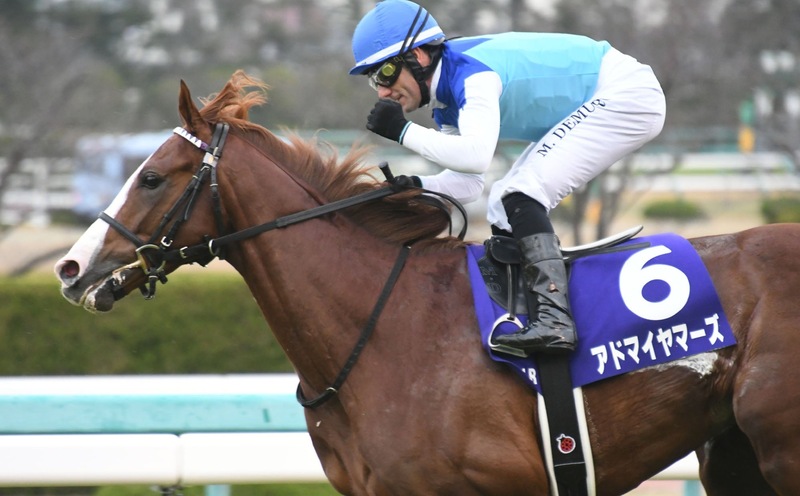 The son of Daiwa Major and Via Medici is unbeaten in four starts and is the winner of the G1 Asahi Hai Futurity and the G2 Daily Hai Nisai Stakes both over 1600. He has earnings of 132.600.000 yen (1.1 million euros). He is owned by Riichi Kondo, trained by Yasuo Tomomichi and was bred by Katsumi Yoshida’s Northern Farm. The Haras de Saint Pair sold Via Medici at the 2014 Arqana December sale for 480.000 euros to Narvick International acting for Northern Farm. Saint Pair has retained Via Pisa, a G1 performer by Pivotal and a 1/2 sister to Admire Mars, as well as Via Milano, the dam of Via Medici, and Via Manzoni a Gr performer by Monsun and a 1/2 sister to Via Medici. Via Pisa has a yearling colt by Vadamos and Via Manzoni has a yearling colt by Frankel, and they are in foal to Frankel and Siyouni respectively.